Before saying goodbye to glasses or contact lenses with myopia operation, it is important to assess their suitability and possible risks. The myopia operation is one of the techniques of refractive surgery to correct this defect of vision. Failure to wear glasses or contact lenses is one of the reasons to assess the possibility of undergoing myopia operation, but there are other key aspects to putting the health of our eyes in the best hands. Myopia is a defect of refraction of the eye, a deficiency of the approach that prevents clear vision of distant objects. Myopia may be accompanied by symptoms such as visual fatigue or headaches, as well as being associated with other refractive defects, such as astigmatism or presbyopia (tired eyesight). 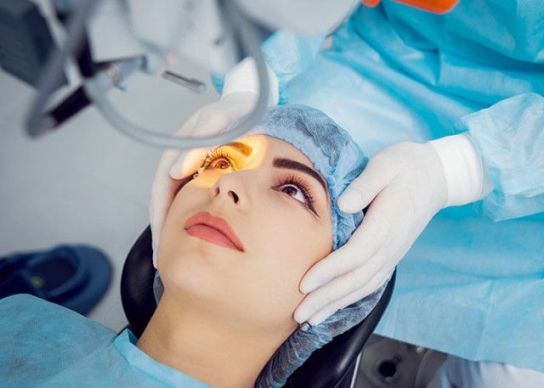 The myopia operation is a surgery recommended for everyone, being the specialist who will have to assess their suitability depending on each case, and from the refractive history and complete graduation of the last years. Although myopia is detected in childhood, it is necessary to wait until at least 18 years. Before the eye has not finished developing and the diopters can continue to increase. The most recommended time to undergo a myopia operation in adulthood is when it is confirmed that graduation has been stable in recent years. The limit for myopia operation is between 10-12 diopters. From here, it is advisable to choose to place a phakic intraocular lens, an alternative technique to correct myopia, farsightedness or astigmatism. When cannot operate the myopia? In case of pathologies of the retina or of the cornea. In case you have had an eye infection or injury in the last year. In the case of the elderly with cataracts. During pregnancy and breastfeeding as hormonal changes influence graduation. Nor should refractive surgery be performed in case of diabetes. It should be avoided in case of autoimmune diseases (lupus or Sjogren’s syndrome) or in case of a history of herpes. It is also not suitable in the case of following a pharmacological therapy that can interfere in the cicatrization. Lasik Technique: The most used, laser eye surgery to reshape the corneal tissue and correct myopia quickly, safely and effectively. Lasek and PRK technique: Techniques recommended when the patient has a very thin or weak cornea. Smile laser surgery (Small Incision lenticule Extraction): Technique perfecting Lasik surgery reducing a micro incision only 2 mm cut in the surface area of the cornea. The least invasive and, until now, the safest to correct graduation. Irritation or burning sensation (using artificial tears tends to disappear in a few weeks). One of the possible risks of Lasik surgery is the displacement of the open surface lamina in the operation. Appearance of glare after operation (this prevents conduction, for example). Emergence of glare and haze in the postoperative period. Long-term risk of deformation of the cornea. Slight loss of visual acuity. it is possible to produce inflammation.